With a world-class research university and high-tech workforce, our city and our campus are home to many science outreach efforts. 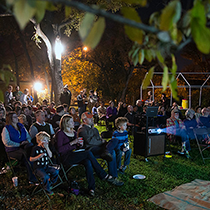 From star parties to radio programs to blogs, The University of Texas at Austin and our broader community have much to offer. For upcoming public talks and events, you also can visit our events calendar. This outreach program from the Department of Physics connects high school girls with opportunities to learn about concepts and careers in physics. First Bytes is a one-week summer residential program on campus serving high school girls interested in computer science. Code Longhorn is also a one-week summer residential program serving primarily students who are underrepresented in computer science. Fun with Chemistry hosts one- and two-day camps in the summer. Students participate in several hands-on STEM experiments, interact with chemists and enjoy a luncheon with UT students. Explosive demos with Dr. Kate Biberdorf included! This program offers high school students and incoming University of Texas at Austin freshmen the chance to join researchers in the College of Natural Sciences working on a variety of experiments. Become members of a research team in this special academy. Science-based culinary nutrition and fitness camps for youth (Susie's Kitchen, Jr. for ages 11-17) and day-long culinary nutrition classes for adults (Susie's Kitchen, for 18+) take place on the University of Texas at Austin campus. All camps spend time in Gearing Hall's first-rate teaching kitchen, named for alumna Susie Jastrow. 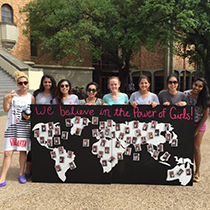 These rigorous academic camps last for one to six weeks on UT’s main campus. Students take advanced courses in science, technology, engineering, and math while exploring campus, interacting with industry professionals, touring labs and having fun. Four levels of UT PREP, taken during four consecutive summers, are offered and encouraged. An exciting, inquiry-based learning experience for students entering 3rd through 8th grades. Work alongside marine scientists from the University of Texas and experience science outside of the classroom on the Texas coast. Each FREE event features accessible, engaging science presentations on topics ranging from planets to black holes to the beginning of the Universe. Events are held every third Tuesday of the month. Known as "The Biggest Open House in Texas," this day long event features close to 400 programs across campus including performances, exhibits, lectures and activities for the entire family. Held every year in March. Free. The program, that goes into schools and elsewhere in the Austin community, makes chemistry come alive and fosters interest in learning and discovery for students of all ages by participation in hands-on activities. This event includes the Girl Day STEM Festival and Introduce a Girl to Engineering, attracting thousands of school-age girls to campus for hands-on science and engineering activities one Saturday in February. The H2fromH2O outreach program is designed to educate high school chemistry students and middle school science students about the possibility of generating a renewable resource (hydrogen fuel - H2) from one of the simplest molecules on Earth - water (H2O). Instructors can check out, free of charge, an all-inclusive class experiment kit and are also provided with UT Austin student volunteers to assist during class. This scientific-inquiry program provides dual-enrollment research courses for high school students, trains teachers to successfully lead research/inquiry experiences, and provides supportive resources to introduce and lead scientific inquiry experiences in a high school environment. Leading researchers from UT Austin and other prominent universities communicate their research to the public. Each event features a lecture, interactive science demonstrations and educational materials for teachers and families. A traveling educational program for K-12 schools with exciting demonstrations of heat, motion, states of matter, and key concepts of classical physics. Science Doctoral students at UT Austin present a simplified version of their Ph.D. thesis in kindergarten through 12th grade classrooms. Wondering about the work professors do outside of the classroom? Want to know more about how research is done?RESEARCH+PIZZA brings together UT students and researchers for informal lunchtime presentations (sometimes on science topics) and discussions over pizza. This program is aimed at junior high and high school students, their teachers and their parents. Math professors and graduate students present entertaining and informative lectures and activities. A free, monthly public outreach lecture series founded and organized by graduate students in the Department of Integrative Biology at UT Austin. Join UT researchers for food and chat about popular movies and TV shows that deal with science topics. This program (formerly called GK-12) provides teachers and students with innovative learning activities in biology, environmental science, aquatic science, geology, meteorology and oceanography and relates these topics to the impact of environmental change on Texas habitats and residents. 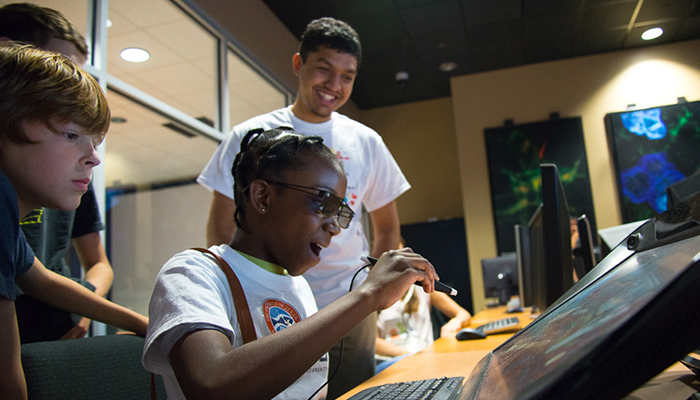 This summer program pairs middle school students with a scientist at the University of Texas for a tour of the scientist's lab and experiments in progress. The goal of the program is to provide the opportunity for young students to cultivate their interest in science and allow them to experience first-hand what a scientist does on a daily basis. The Astronomy Department hosts three weekly viewing nights for the public - every Wednesday, Friday and Saturday while UT is in session. Be sure and double check the website for current schedule and locations. The university's natural history museum features exhibits on paleontology, gems and minerals, plants and animals. Spotlighted in the exhibits are spectacular specimens found in Texas, including the largest flying creature ever found – the Texas Pterosaur, with a wingspan of 40 feet – and the 30-foot Mosasaur that swam the shallow sea that once covered most of the state. The museum is also site of numerous education and outreach activities, including Identification Day and Texas Wildlife Day. This public outreach series provides monthly talks for non-scientific audiences about a variety of neuroscience subjects related to normal brain function, neurological diseases, overall brain health and how neuroscience research can improve everyday life. Events are free to the community and typically held on an evening or weekend on the UT campus. UT Austin students go to middle school and high school classrooms to excite students about computer science. They give a 45-minute presentation about cutting-edge technology, challenge the students with logic puzzles, and demo an AIBO robotic dog that plays soccer. 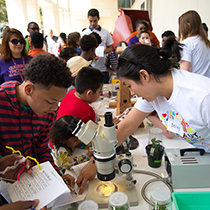 UTeach Outreach is one of the college’s largest outreach initiatives, with over 300 UT students and volunteers teaching hands-on science lessons in 40 Austin-area schools every semester as part of the UTeach Outreach service-learning course. UTeach Outreach also organizes middle school after-school STEM clubs, leads hands-on science activities during community events, hosts sustainability-themed field trips, runs a first-year interest group, sponsors a student organization, and supports CNS research educators with strategic partnerships in NSF grants and more. To find out more about UTeach Outreach, please visit their website or get information about their impact here. Twice a month the Cactus Cafe hosts KUT’s Views and Brews, a free space for the community to explore a wide range of subjects and ideas, sometimes including science. The Explorium, located at the University of Texas Marine Science Institute in Port Aransas, encourages self-guided exploration of estuaries through the use of interactive exhibits that you can feel, move, and hear. At the Observatory Visitors Center, outreach events include star parties, public tours, K-12 teacher and student activities and more. A podcast by neuroscience graduate students at UT Austin. Based in the in the Department of Nutritional Sciences, Cook'em is an online collection of student-produced instructional videos designed to promote healthy eating through the application of nutritional science in daily life. EarthSky is a news service and blog covering the entire spectrum of science and nature, from the deepest ocean to the farthest stars. It's produced in Austin by UT Austin alumna Deborah Byrd. A blog and a YouTube show about science produced by biologist and College of Natural Sciences alum Joe Hanson. The Point of Discovery podcast takes you on a behind-the-scenes journey to the front lines of science where you'll meet the brilliant, quirky scientists who do it. Produced by UT Austin's College of Natural Sciences. Science and the Sea is a weekly radio program produced by the University of Texas Marine Science Institute that provides entertaining stories and activities that teach about the marine world and even convey how scientists approach, and ultimately solve, some of the oceans' mysteries. StarDate is the public education and outreach arm of the University of Texas McDonald Observatory. The StarDate radio program airs daily on more than 300 stations and the StarDate bimonthly magazine is the perfect skywatching companion for amateur astronomers or anyone interested in celestial events and space exploration. A podcast about historic and current women in STEM, created by two College of Natural Sciences graduate students. TBMWS is a weekly half-hour radio program featuring science news and interviews with scientists. Produced by The University of Texas at Austin's student-run radio station, KVRX. Tumble is a science podcast for kids, hosted by Lindsay Patterson and Marshall Escamilla, with associate producer and UT Austin staff member Sara Robberson Lentz. This lively, often humorous weekly radio show about human psychology features professors Art Markman and Robert Duke from The University of Texas at Austin. Produced by Austin public radio station KUT. An art gallery and science communication space dedicated to art-science fusion of all kinds. 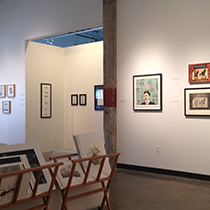 Located in Austin, Texas, it is one of the nation’s first art galleries to feature exclusively science-related artworks. The gallery also hosts Art.Science Labs, which are workshops focused on science communications. Scientists also periodically give free public talks about their research. A hands-on traveling science program that works to get the message to children that science is fun and anyone can do it. The ANSC is dedicated to the exploration of the natural world through wildlife viewing and hands-on educational exhibits such as the Dino Pit, where kids can dig in a sand pit for life-size dinosaur fossil replicas. The museum tells the story of Texas, including the history of human spaceflight (Texas is home to the Johnson Space Center after all), and the state's vital contributions to the nation's energy supply and computer industry. The museum's IMAX theater often features films about science and the natural world. Girlstart is the only community-based informal STEM education nonprofit in the nation specifically dedicated to empowering and equipping girls in STEM through year-round STEM educational programming. Located in Johnson City, this science museum provides students with a safe, permissive environment for exploring, questioning and discovering science, engineering and math at interactive and innovative exhibits and programs. A community of teachers and science communicators from museums, zoos, parks, and nature centers working to improve bridges between schools and community spaces where learning science is part of the focus. A monthly event held in more than 75 cities across the globe during which several folks give 18-21-minute fun-yet-informative presentations across all disciplines – while the audience drinks along. Austin's Nerd Nite is every second Wednesday of the month. Girlstart's STEM Studio and Mini-Planetarium is a unique space for families to explore astronomy! Starry Nights are held the first Thursday of every month (except January, June, July and August), with each month featuring a new astronomy experience. Every October, SXSW Eco attracts a global community to explore, engage and co-create solutions for a sustainable world. In March SXSW Interactive is considered by many the leading emerging-technology festival in the world. Based at an interim facility in Cedar Park, the museum was formerly known as the Austin Planetarium and also travels around Central Texas with its mobile planetarium, doing shows, events and outreach. The Thinkery is an evolution of the Austin Children’s Museum, a place where science and families play side by side. With an emphasis on hands-on learning, kids explore water, electricity, engineering, woodworking, nutrition and much more. An interactive day focusing on science, technology, engineering and math related to weather! Held every year in March.